It only took four games with the Salt Lake Screaming Eagles for Chris Robinson to make an impact in the Infoor Football League. The League announced today that Robinson has been named the Special Teams Player of the Week for week 14. Robinson also made the Honorable Mention list for Offensive Player of the Week. In the Screaming Eagles' 63-33 loss to the Arizona Rattlers on May 20, Robinson returned seven kickoffs for 92 yards, a 13.1 average. He made a bigger splash on offensive, catching eight passes for 149 yards and four touchdowns. The 5'7", 170-lb. receiver out of Southern Utah has caught 15 passes for 218 yards and six touchdowns in four games with Salt Lake this season. His 54.5 receiving yards per game are first among active players on the team's roster. He also has a 19.3 yards per kickoff return average with one kick returned for a touchdown. Robinson's signing to the Screaming Eagles was announced on April 18. Robinson is the third Screaming Eagles player to receive such an honor this season. Quarterback Verlon Reed was named Offensive Player of the Week for week 2, and defensive back James Calhoun was named Defensive Player of the Week for week 11. For week 14, Iowa Barnstormers quarterback Travis Partridge won the honor on the offensive side, while Rattlers linebacker Justin Shirk took home the honor on the defensive side of the ball. The Honorable Mention list for Special Teams Player of the Week for week 14 consisted of: DB Daniel Lindsey (Colorado Crush), K Josh Gable (Nebraska Danger), KR Latavious Willis (Sioux Falls Storm) and K Rockne Belmonte (Wichita Falls Nighthawks). In addition to Robinson, the Honorable Mention list for Offensive Player of the Week for week 14 consisted of: WR Demarius Washington (Wichita Falls Nighthawks), RB Darrell Monroe (Arizona Rattlers) and RB Rolandan Finch (Sious Falls Storm). The Honorable Mention list for Defensive Player of the Week consisted of: DL Eze Obiora (Nebraska Danger), DB Tyrell Pearson (Green Bay Blizzard), DL Carlif Taylor (Cedar Rapids Titans) and DB Antonio Marshall (Colorado Crush). 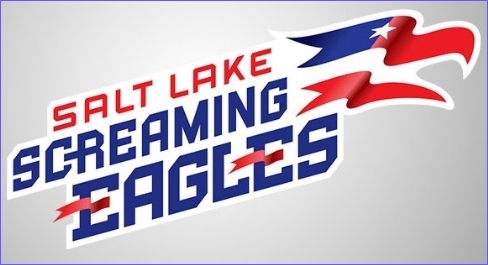 The Screaming Eagles (3-9) will host the Cedar Rapids Titans (1-12) on Monday, May 29 at 6 p.m. (pacific time).